Remember how a few weeks ago we reported on how Microsoft was contacting developers about featuring their app with a Live Tile on a "wall" and that this wall would be featured at some upcoming Mango events? Ahhh...yes, now you do!! It's all making sense now, right? 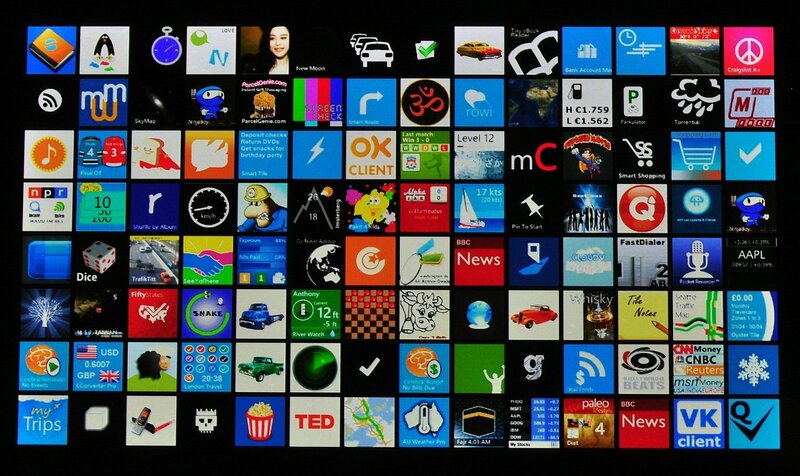 And what you see above is, you guessed it, the developer wall of Live Tiles. Basically a large LCD screen, it featured 112 apps all blinking, flipping and doing their live thing. In fact, before the main even kicked off, this was the screen shown on the projector. Microsoft seemed pretty proud of it and it does show one of the more important elements of our OS in action, plus it's a nice tribute to the developers out there.